At last! 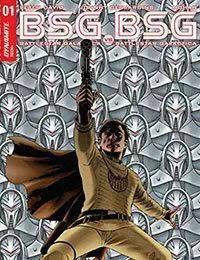 The epic story youve been dying to see is here, a galaxy and timeline-spanning saga bringing the two very different (and yet so very much alike) crews of the Battlestar Galacticas series together. But dont expect this historic meeting of heroes to be friendly: they have no idea why they have been brought together, or what the result of this unprecedented meeting is. And it starts here as the legendary Commander Cain and the crew of the Pegasus are revealed to be alive, and have encountered an individual they never thought they would meet: the last Cylon. All this has happened before, but there will NEVER be anything like it again!